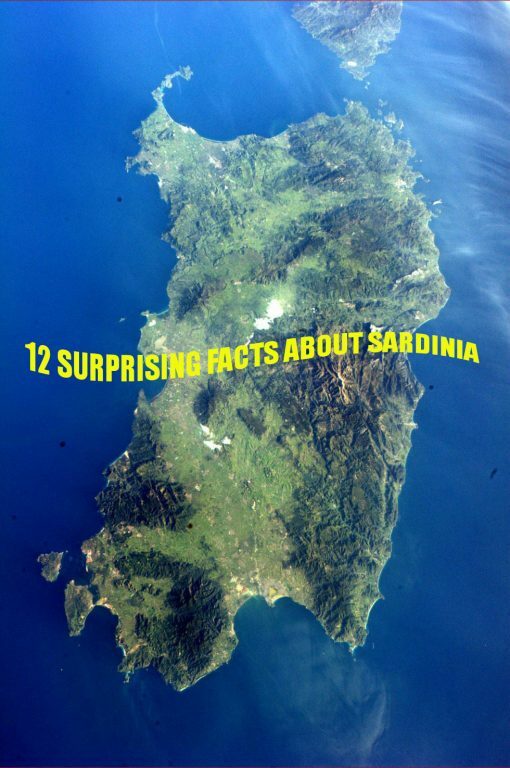 1) Scientists all over the world are researching the genetic structure of Sardinian people. According to studies, there are more than 300 men and women over the age of 100! It is believed that the local diet and lifestyle on the island has been fundamental for the longevity of its people. Superb red and white wines, fresh products, carasau bread, and pecorino cheese can sure do wonders! 2) Based on studies of the ancient Nuragic population of Sardinia, some hypothesize that Atlantis, the famous mythical island that has fascinated many, had its origin in the Barumini nuraghe, the most important archaeological ruins present on the island. The Nuraghes, a type of large tower-shaped stone structure dating 1800 b.C, are present only in Sardinia and no other place on Earth. 3) Sardinia is home to what was once the smallest kingdom in the world: Tavolara. 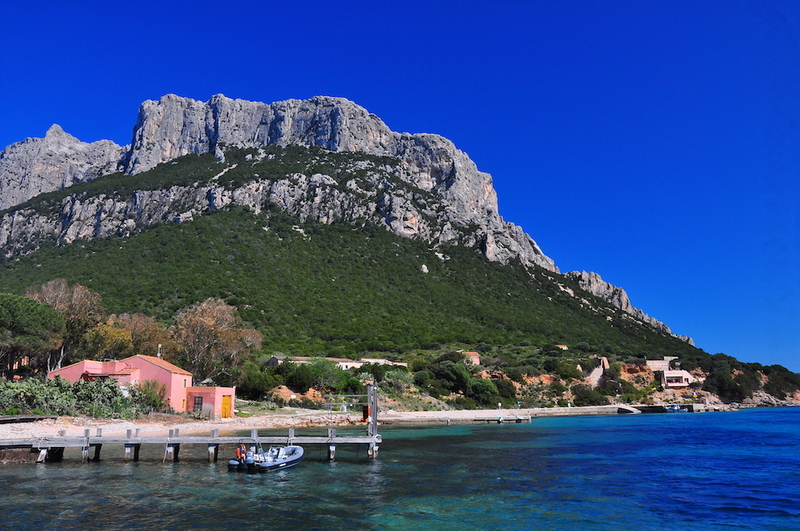 This tiny island off the coast of the city of Olbia, had a self-proclaimed king. Legend says that when The King of Sardinia, Carlo Alberto di Savoia, arrived to Tavolara in 1836 and presented himself as such, Giuseppe Berteleoni, who lived on the small island with his family and goats, who were the only inhabitants, simply replied by saying he was the King of Tavolara. King Carlo Alberto remained on Tavolara for a week and after his departure, he sent a royal document to Giuseppe Berteleoni, recognizing Tavolara as a sovereign state. 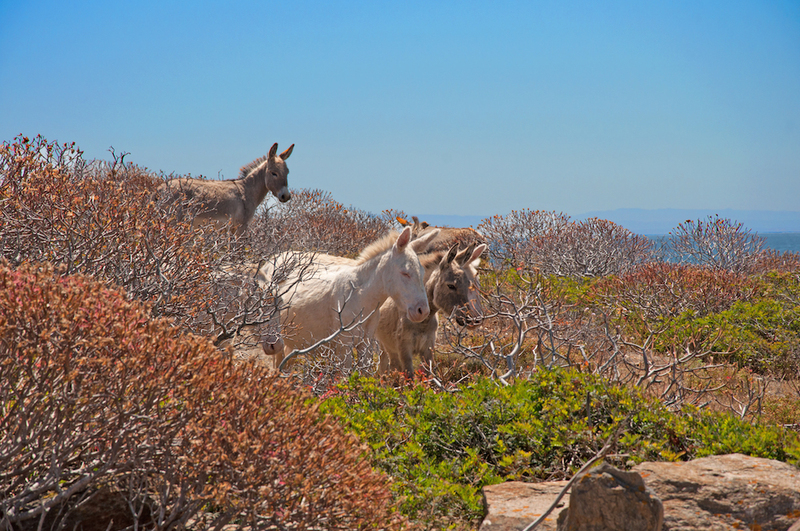 4) The Asinara island, another small island off the Northern coast of Sardinia, also known as the “Sardinian Alcatraz” due to its former high-security prison, is where albino donkeys live. These cute animals can be found only in this part of the island. Their origins are uncertain: some believe they were imported from Egypt, while others argue that they were on a vessel traveling to France and managed to survive and reach the island after the ship’s wreck. 6) The Giant Statues of Mont’e Prama or “Sos Gigantes” are the biggest in Europe and the oldest statues of the Western world. They were built during the Nuragic period and discovered in 1974. The statues have big heads, concentric circles instead of eyes and a fine line as a mouth. Their height is between 2 and 2.5 meters. Who were they? Ancient boxers? Warriors? Few answers have emerged, and many questions still remain. 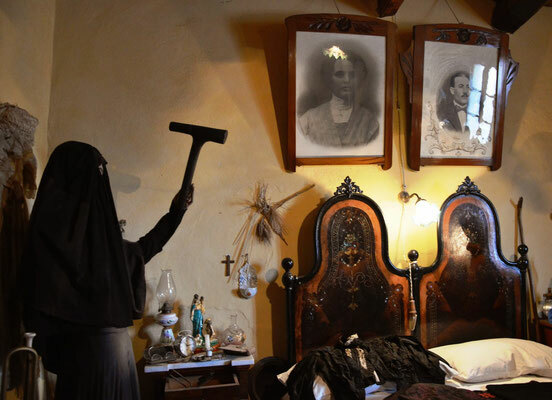 7) S’Accabadora or “sa femmina accabadora” was a woman whose duty was to put an end to the suffering of the terminally ill, regardless of their age or condition. She was contacted by the dying person’s family and her services weren’t remunerated because paying for euthanasia was contrary to religious beliefs and superstition. 8) Europe’s largest sand dunes are found in Sardinia: Piscinas. They are located in Arbus, in an isolated area of the “Costa Verde”. These dunes are continuously caressed by the wind and host juniper and mastic trees. They extend from the inland and reach the sea creating an almost endless view. 10) The Caves of Santa Barbara, on the South West of Sardinia, are the oldest in Italy and one of the most ancient in Europe. Discovered accidentally by mine workers in 1952, they were described as a holy vision. It has been said that upon discovering them one of the mine workers exclaimed he thought he had died as the stalagmites and stalactites resembled a huge, white, heavenly cathedral. 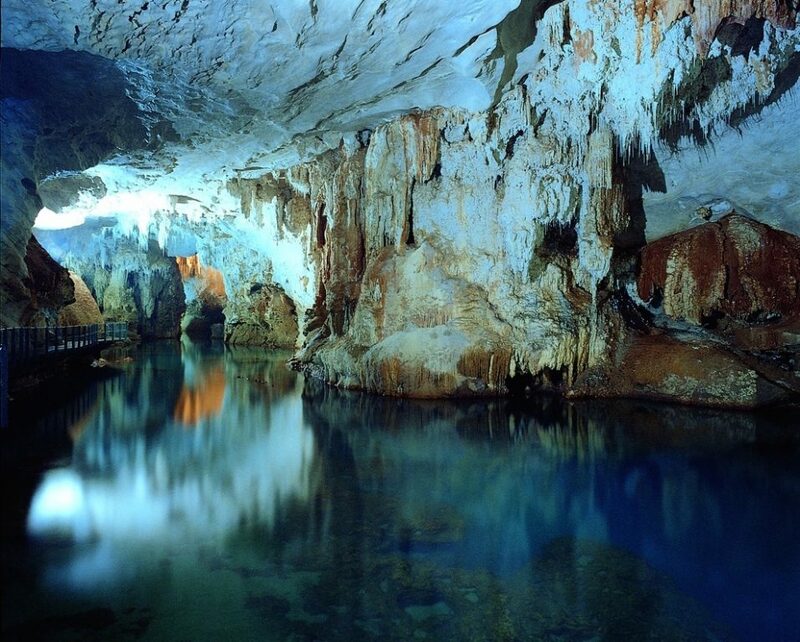 11) The Sea Ox Grotto “Grotte del Bue Marino” is the longest cave in Europe. It is found in Sardinia, precisely in the Gulf of Orosei. The title of the cave derives from the name given to the sea ox in Sardinian language. These animals inhabited the cave system until constant human activity forced them to migrate to other places. You can visit them as well as do the whole tour of the Gulf by joining a boat tour. 12) One of the deepest canyons of Europe is found in Sardinia: Su Gorropu. Located between Orgosolo and Urzulei, it was formed by the erosion of Rio Flumineddu river. It’s over 500 meters high and in some areas only 4 meters wide. Due to its geographical characteristics, many parts of the gorge receive almost no sunlight, making it a perfect environment for endemic species to develop. Gorropu is home to the rarest amphibious of Europe: the “Geotritone of Supramonte” (Speleomantes supramontis), a kind of salamander. Whichever reason brings you to marvelous Sardinia, prepare to be amazed by this wonderful island in the heart of the Mediterranean Sea!